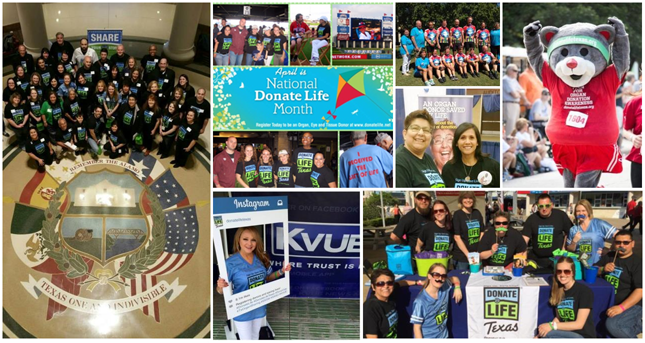 Thank you for your interest in becoming a Donate Life Texas volunteer! Volunteers are essential to community outreach and public education efforts about the need for donation and the importance of registration. Whether you are a donor family member, a transplant recipient, a living donor, a healthcare professional or someone who just feels very passionately about the cause, Donate Life Texas Organizations offer loads of different ways to get involved. Since there are 14 Donate Life Texas Organizations in Texas, there is sure to be one close to you. And, you are welcome to volunteer with as many of these organizations as you would like. These links will help you find the Donate Life Texas Organization that’s just right for you. Do you have the vision to volunteer for an eye bank? Need to bone-up on how to support tissue donation? If organ donation is close to your heart, enter your zip code below find the OPO that serves your area.